Instantly downloadable sheet music by Newton Mendonca for guitar solo of MEDIUM skill level. Alle Notenausgaben von Desafinado (Off Key) zum Herunterladen bei VirtualSheetMusic. Instantly downloadable sheet music by Newton Mendonca for piano solo of MEDIUM skill level. Instantly downloadable sheet music by Newton Mendonca for piano solo of EASY skill level. Alle Notenausgaben von Desafinado (Slightly Out Of Tune) zum Herunterladen bei VirtualSheetMusic. Instantly downloadable sheet music by Newton Mendonca for guitar of MEDIUM skill level. Alle Notenausgaben von Slightly Out Of Tune (Desafinado) zum Herunterladen bei VirtualSheetMusic. 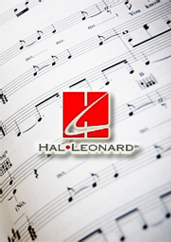 Instantly downloadable sheet music by Newton Mendonca for choir and piano (2-Part) of MEDIUM skill level. Alle Notenausgaben von One Note Samba (Samba De Uma Nota) zum Herunterladen bei VirtualSheetMusic. Alle Notenausgaben von Desafinado zum Herunterladen bei VirtualSheetMusic. Instantly downloadable sheet music by Newton Mendonca for voice and other instruments (Eb Instruments) of MEDIUM skill level. Instantly downloadable sheet music by Newton Mendonca for voice and other instruments (Vocal Volume 1) of MEDIUM skill level. Instantly downloadable sheet music by Newton Mendonca for voice and other instruments (Bass Clef Instruments) of MEDIUM skill level. Instantly downloadable sheet music by Newton Mendonca for voice and other instruments (Bb Instruments) of MEDIUM skill level. Instantly downloadable sheet music by Newton Mendonca for voice and other instruments of MEDIUM skill level. Instantly downloadable sheet music by Newton Mendonca for guitar of EASY skill level.